I was recently asked if I would like to review Zoflora concentrated disinfectant. If I am 100% with you all, I am not a great 'housewife'. In fact I am a terrible one. There is always a full laundry basket and it would probably take a whole day to tidy the whole house. But when I do give the house a good clear out (I try to once a week) and cleaning to I am quite fussy with my sprays. They have to smell good and do what they're supposed to do (clean and hygiene). I chose the Pink Grapefruit to review. It's Limited Edition so get it whilst it's out (if you are thinking of buying Zoflora). When I opened the bottle the first thing I noticed was the smell. It smelt quite fruity and really fresh. Something I do like! It comes in a 120ml bottle and says all the instructions on how to use on the back of the box. 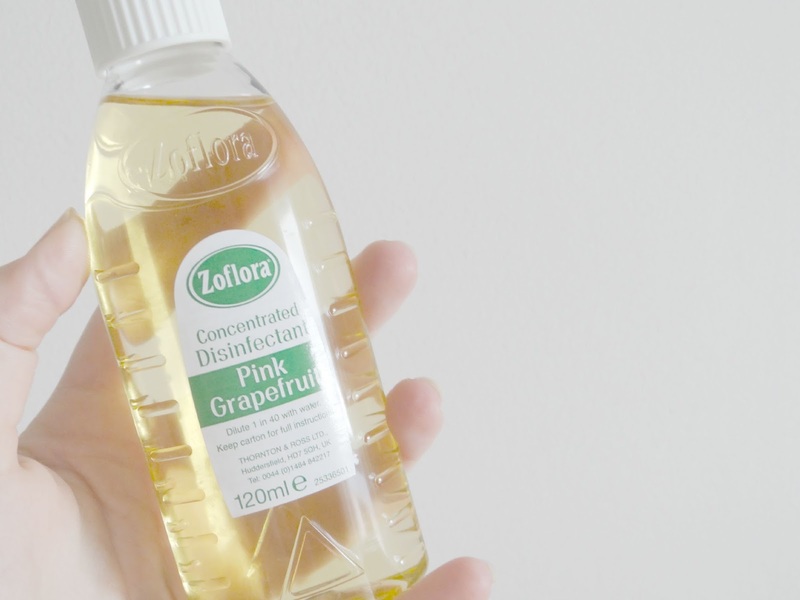 General disinfection of surfaces - Use Zoflora diluted 1 in 40 with water. 1 capful which is 10ml will make 400ml. When diluted as above Zoflora becomes non-flammable. Neat/undiluted - Use undiluted only in ceramic and metal sinks, drains and toilet bowls. Hard surface pet areas - When correctly diluted Zoflora may be used where pets are kept. Do not allow pets to lick or walk on wet treated surfaces. Keep off until dry. Use as a spray - Dilute as above and use as a spray to create a fragrant freshness throughout your home. * As written on the back of the Zoflora box. Zoflora is great for all kinds of homes. Homes with pets, children, students, adults and elderly. Zoflora kills 99.9% of bacteria and viruses. 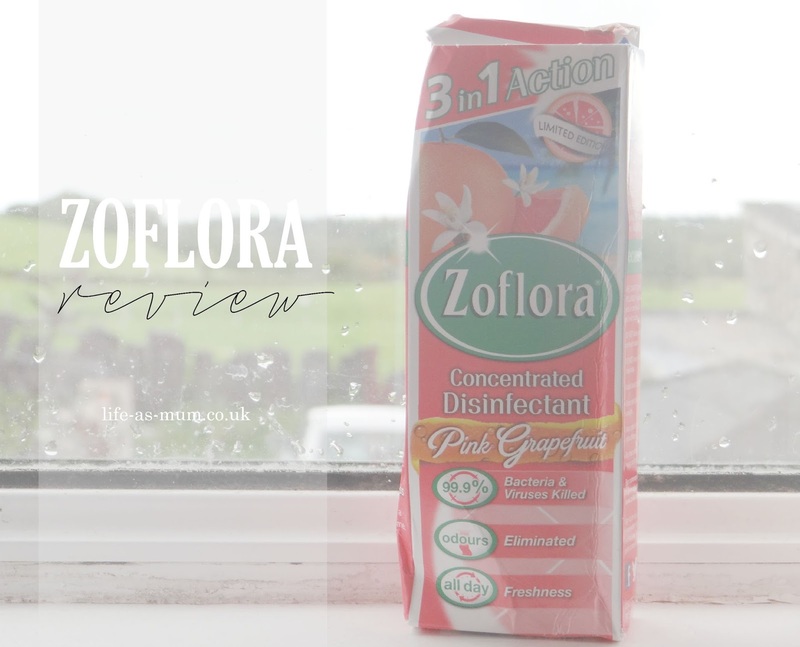 There are so many things and surfaces you can use Zoflora such as floors, tiles, baths, worktops, potties, toilets, pet areas, dishcloths and more. What's great about using Zoflora? The fresh smell stays in your all day. You can check out Zoflora's website to see their other ranges. You can buy Zoflora from many supermarkets. * I was given this product free of charge in return of an honest review. As always, images and words are my own. I am a huge fan of Zoflora after winning a competition here http://www.wowfreestuff.co.uk/free-zoflora-lemon-zing/. Once the bottle finished I had to buy another, really like the lavender.